The Governor's Hurricane Conference continues today, a day after Rick Scott spoke, and there were some glaring omissions from the agenda and his speech including no mention of climate change and the science that exacerbates severe weather including hurricanes, as Scott continues to deny the realities that put Florida at risk. 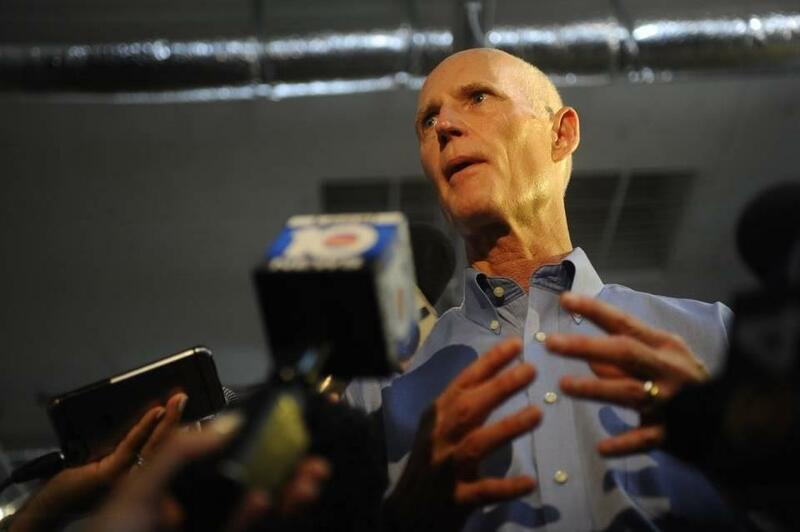 "With storms and flooding already brewing in Florida, before hurricane season even starts, it's alarming Rick Scott addressed the hurricane conference without even mentioning, much less trying to address, climate change. Scott's record on the environment is abysmal – slashing relevant agencies and not even allowing his staff to say climate change – but his actions and inactions on climate are dangerous. Rick Scott has always puts himself and his donors first, at the expense of Florida, our environment and our most precious resources." Miami Herald Editorial: Why Is It So Hard For State Officials In Florida To Respect Science When It Comes To Climate Change And Sea Level Rise?